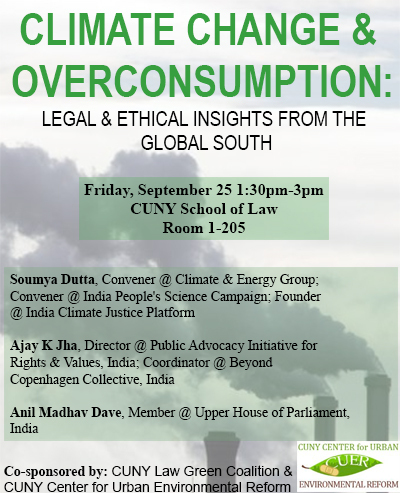 CUER and the CUNY Law Green Coalition held a lively discussion at the CUNY School of Law on September 25, providing students a unique international perspective on our country’s consumption practices and global warming impacts. The event, titled “Climate Change and Overconsumption: Legal & Ethical Insight from the Global South,” featured three prominent international environmental leaders in dialogue with CUER Director Rebecca Bratspies. 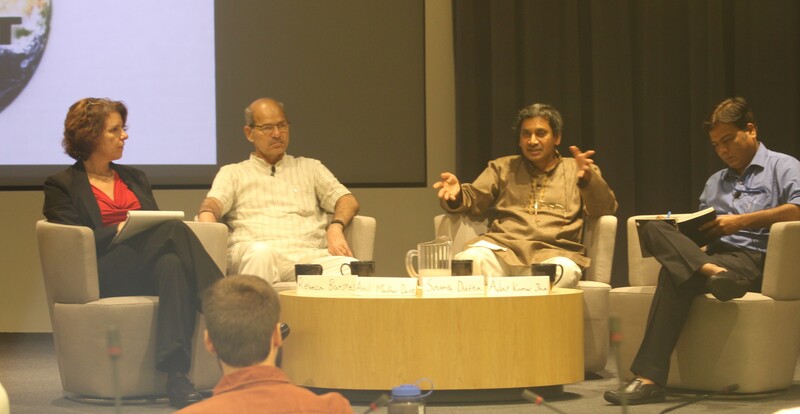 Anil Madhav Dave, a member of the Indian Parliament, is one of the world’s leading voices in the meetings of the United Nations Framework Convention on Climate Change. Soumya Dutta is the founder of India’s People Science Campaign and one of her country’s leading environmental justice activists. 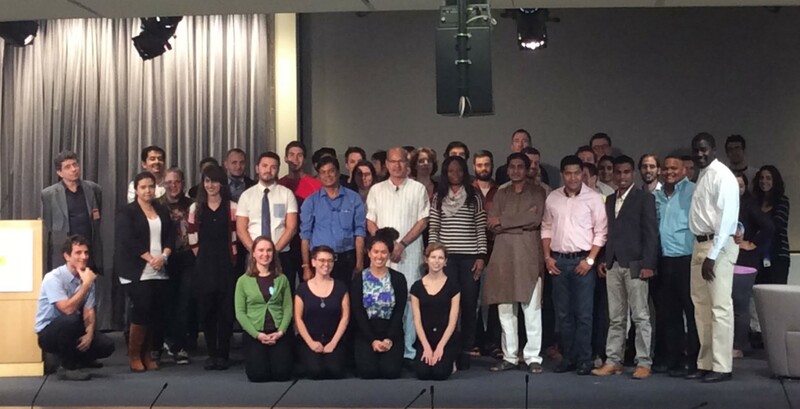 Ajay K. Jha is the coordinator of the Beyond Copenhagen Foundation. “Please accept our sincere thanks for the warm reception that all of you extended to us in CUNY Law School,” Soumya Dutta said. “This was not only a programme on a critically important issue for the world, but really a connect that you made with all of us from India, and we will remember & value that connect. For more information on the panelists, click here. Professor Bratspies’ powerpoint presentation from the event can be viewed here.